The Clipboard Makes Me Official - . Folks? I did it. I did the my first scorekeeping game. Chances are, that I may have done it mostly correctly. Mostly. Thank goodness for my cheatsheet. Though there are some questions that may never be answered like, why is the sign for Strike Out *Looking* a backwards K? The fact that I have any idea of what that sentence even means is exactly why I don't even know who I am anymore. Bob's excellent Mommy is who you are. 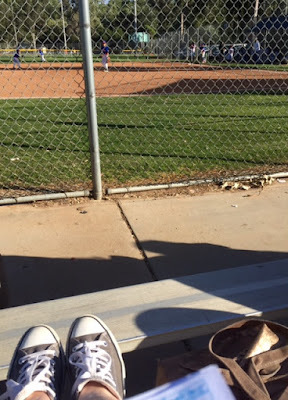 I went to every one of Jack's baseball games for six years but never was a scorekeeper. Mostly because it's still far too confusing to me, but also because I was too busy trying not to freeze after the sun went down. "...why is the sign for Strike Out *Looking* a backwards K?" Because baseball is all about statistics and that's as good a symbol as any, particularly since the 'real' K is for a swinging strike. Good for you! 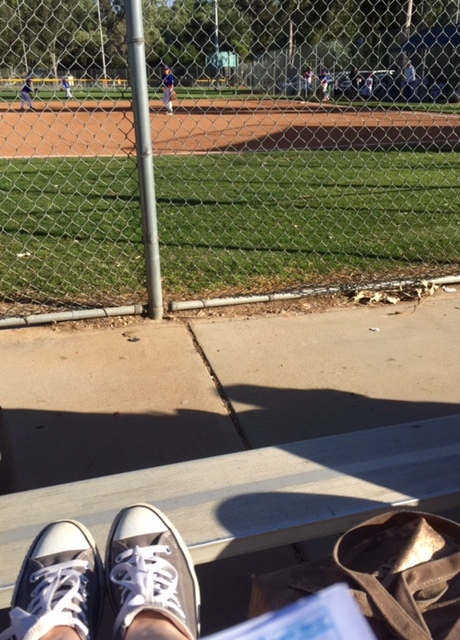 My mom volunteered at my softball games as a scorekeeper, then ended up managing all my teams since a woman had to be present at all practices and games anyway.